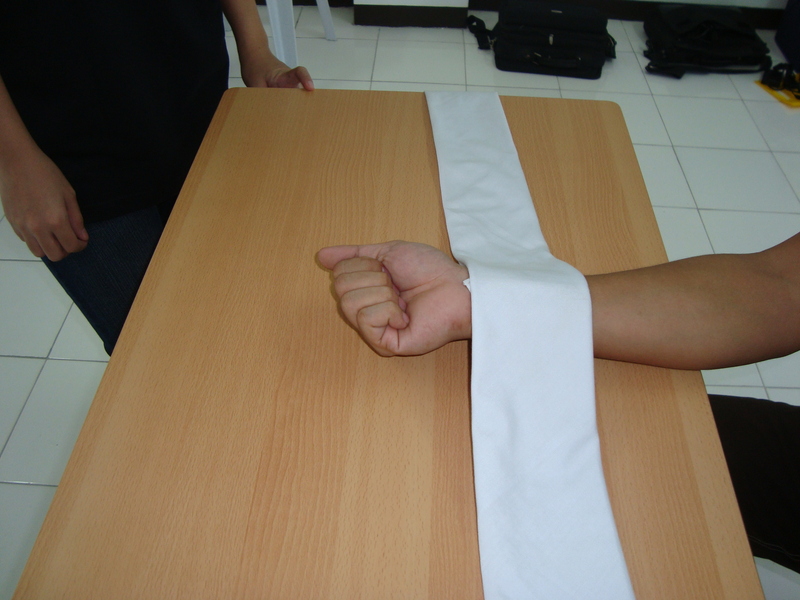 The Close Palm Bandage application is ideal when the would on the palm is horizontal by nature. By closing the hand, the would will also be closed. 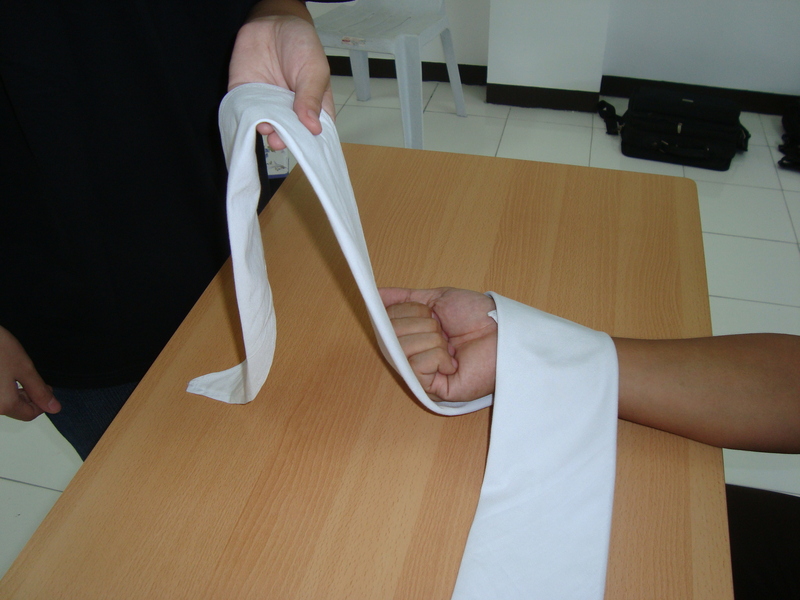 Please be advised that the illustration below, only shows the bandaging application. 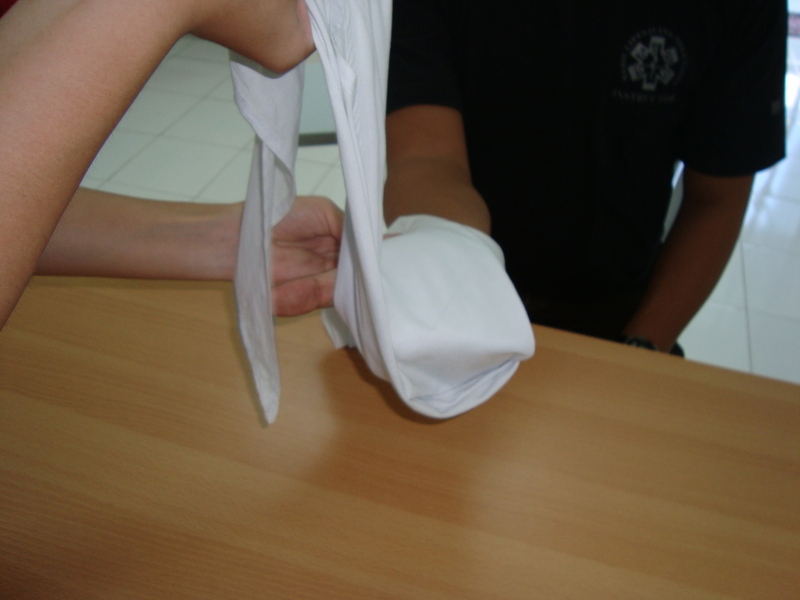 Remember that a dressing must be placed over the would before the bandage is applied. 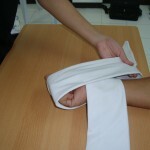 Place the center of the bandage (apex area) over the wrist of the injured hand (figure 1). 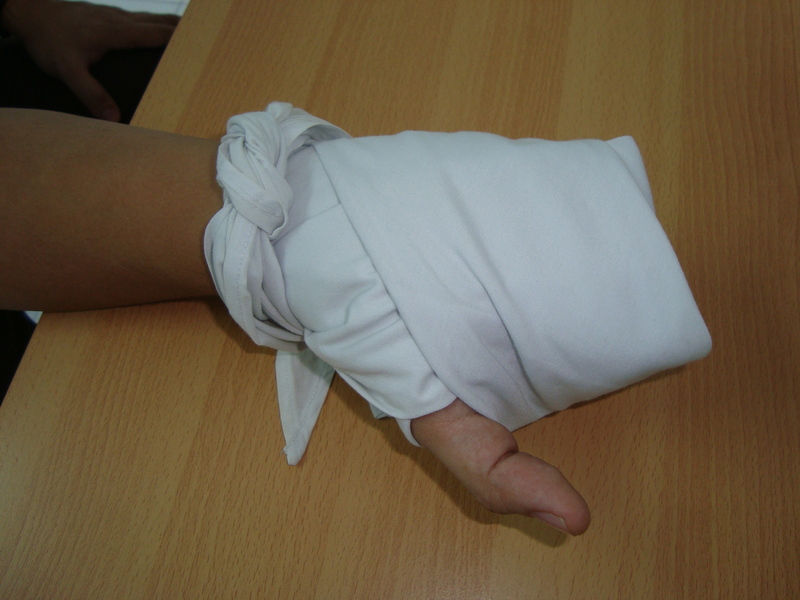 Bring the bandage up to cover the knuckles (figure 3). 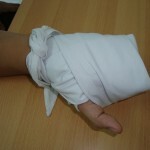 As you notice the thumb side of the bandage is already covering the knuckles (figure 4). 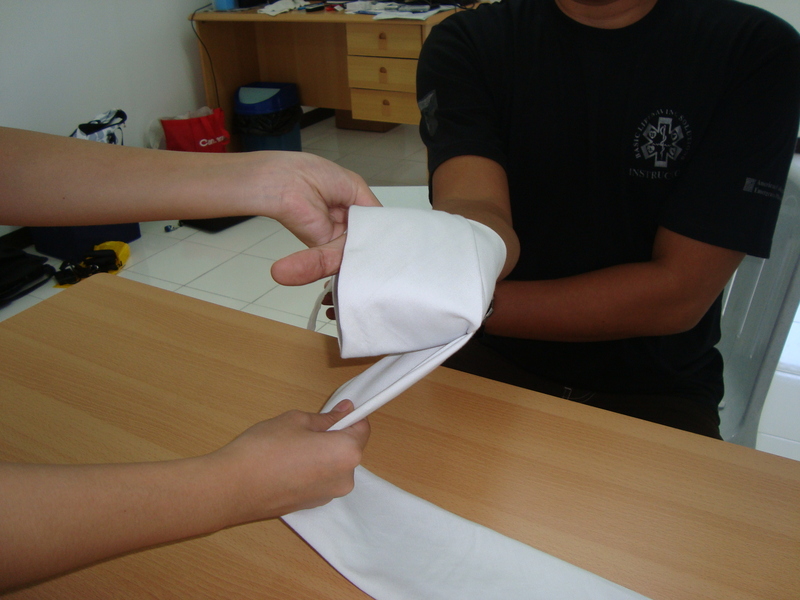 At this juncture leave the bandage in that position (figure 4). 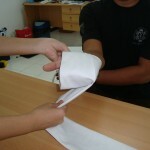 Now grab the other end of the bandage (little finger side) and cover the expose portion of the hand on the same side (figure 5). 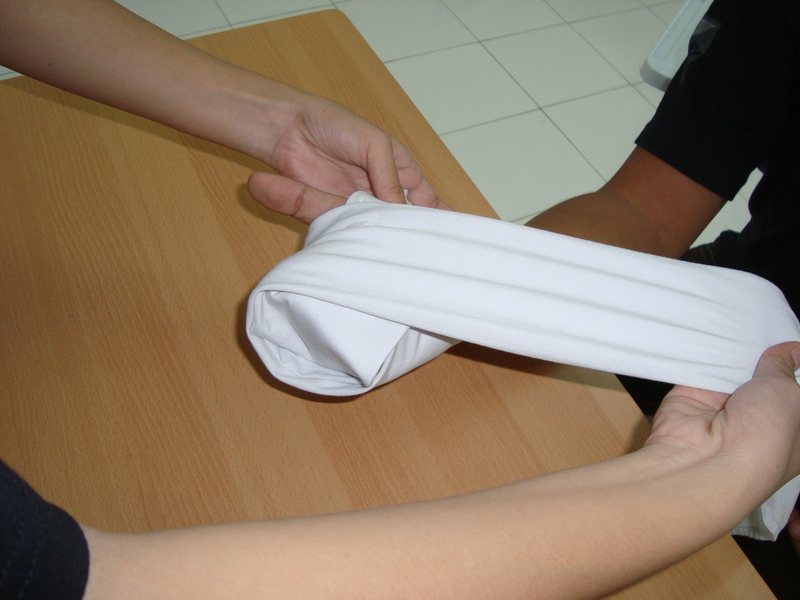 Make sure that there is no expose portion of the hand once you bring the bandage and cover the side of the hand (figure 6). Bring the little finger side of the bandage toward the back of the hand and move it toward the other side of the hand (thumb side) see figure 7. Once you reach the other side of the hand, cover the remaining expose portion of the hand on the thumb side (figure 8), but do not include the thumb see figure 9. 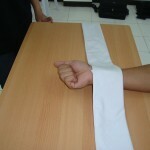 The thumb is exposed so that you can continue to assess the circulation. 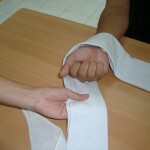 Once your have covered both sides, you will now have both points of the bandage forming a V towards your patient (figure 10). 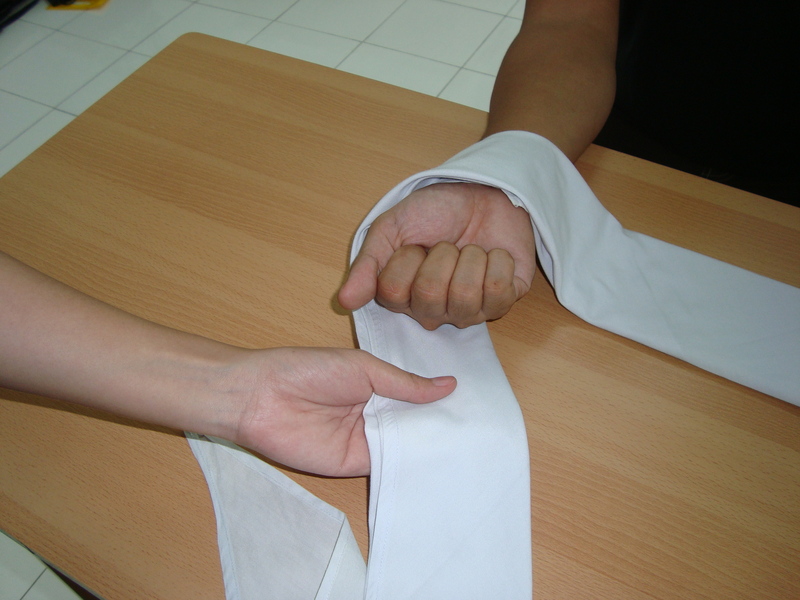 Just cross the points of the bandage on the wrist until they become short (figure 11) and from there bring the points together by making a square knot. The application should look like this when done (figure 12).